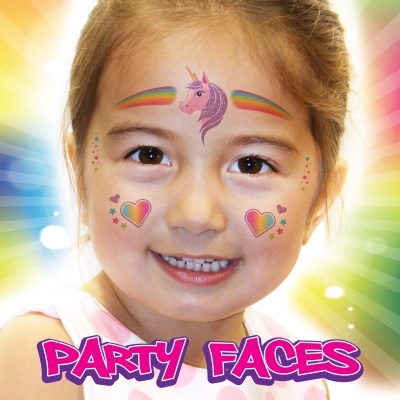 Kids love getting their faces painted for a party, but it’s usually a messy business. 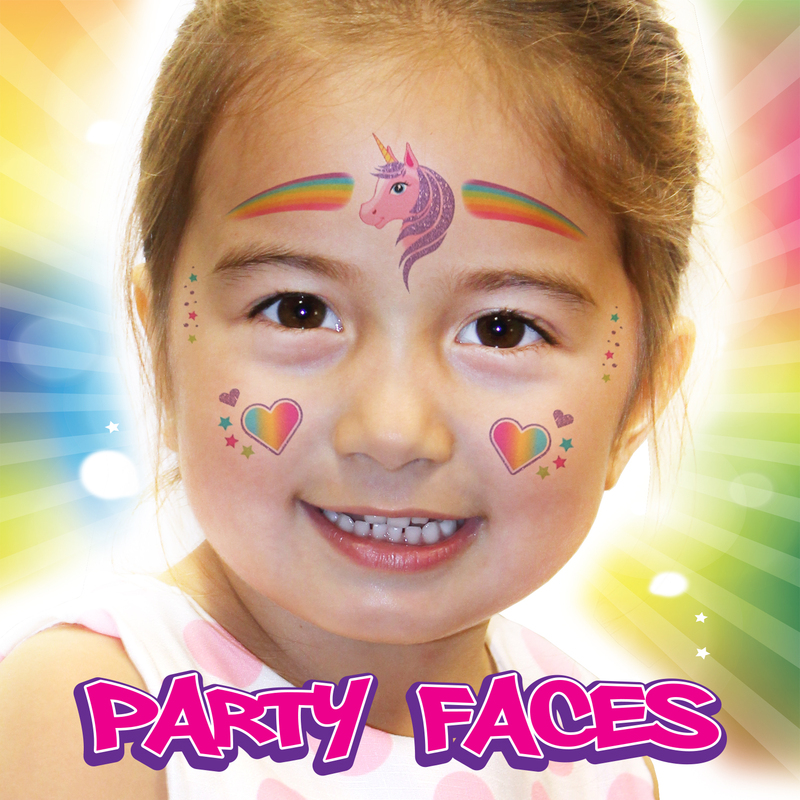 Party Faces just made it a whole lot quicker and cleaner! Simply apply like a temporary tattoo and your little one will be the star of the show. 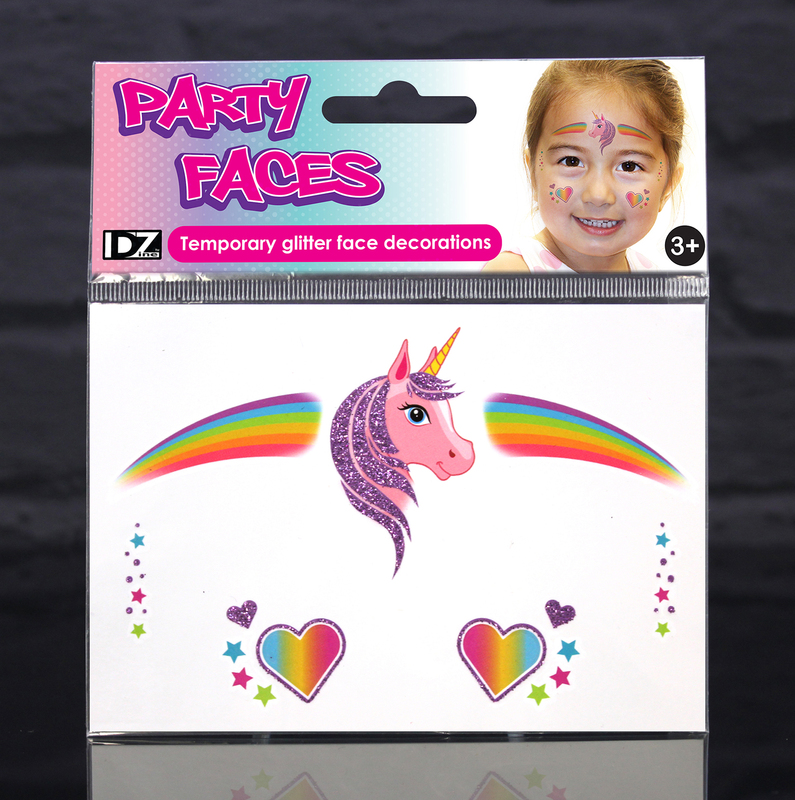 Great for children’s parties or just for adding a little bit of sparkle at playtime.